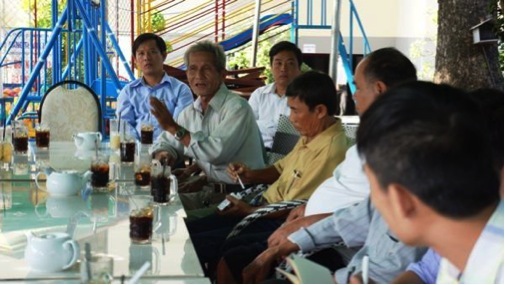 On January 11, 2014, the Climate Change Coordination Office (CCCO) in Can Tho traveled to An Giang to learn about the experiences from the community-based management model used under the North Vam Nao Water Control Project II (NVNWCP-II). The project was funded partially by AusAID and Vietnamese State for implementation in Phu Tan and Tan Chau provinces from 2002 to 2007. The water control system has been in operation since 2008 and has already shown positive results. The project’s goal was to help An Giang province establish and operate a socially and environmentally sustainable water management system in North Vam Nao which would benefit the local economy by helping to alleviate poverty. Through a coordinated approach to water and land management, the project aimed to demonstrate both economic and social benefits to the Vam Nao community, particularly in the areas of environmental improvement and poverty alleviation. Although the design and building techniques used under the NVNWCP-II cannot be directly adapted to the smaller-scale Can Tho project called the “Community-Based Urban Flood and Erosion Management for Can Tho City” funded by the Rockefeller Foundation from 2013 to 2015, the CCCO found the NVNWCP-II’s community-based management model to be a good model to learn from­. Participatory management was a defining element of the NVNWCP-II. The community participated in the project from the beginning and throughout the life of the project. During the survey process for structural design, people’s opinions about their needs and expectations for solving local problems were carefully considered (for example, in relation to water management and environmental pollution issues). The community also helped supervise the construction process during the building phase, and contributed to the building process for the ring-dyke, boundary canals and sluices of project areas. During the implementation phase, project areas were divided based on irrigation areas instead of administrative boundaries. There were 24 sub-areas under the project, with each compartment covering around 1000 hectares. Each compartment management board was voted in by the local people under three-year terms. Locals were encouraged to consider and vote for candidates on the basis of whether they: 1) owned land in that sub-area; 2) had farming experience; 3) were hard working; and 4) had a stable income. 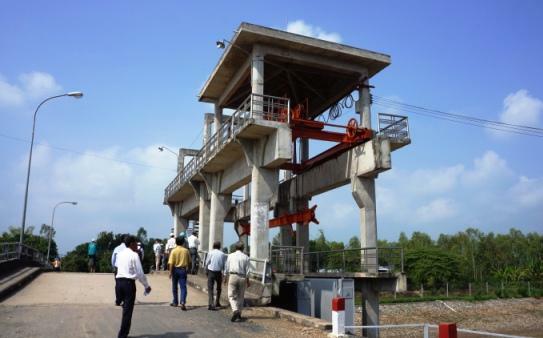 Compartment management boards had responsibility to form and implement production planning of sub-areas, manage and secure ring-dyke, boundary canals and sluices, help solve any disagreements between households, and remain connected with the management board of NVNWCP-II. One difficulty of the model was the unofficial payment regulation for the compartment management boards. 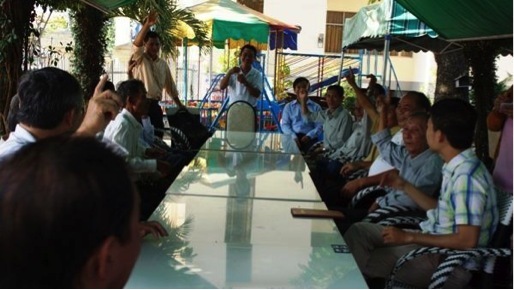 Currently, the An Giang provincial government pays around 2.5 million VND per month to the compartment management board. In the future, this allowance will be contributed by local households in the compartment sub-area. The Can Tho CCCO greatly appreciated the NVNWCP-II management board’s willingness to share its experiences, and learnt valuable lessons from the trip. “If they can manage their people at such a great scale, why can’t we?” reflected the leader of Area 5, An Binh ward at the end of the meeting. Reported by the Can Tho CCCO. To read full report in Vietnamese, please click here. 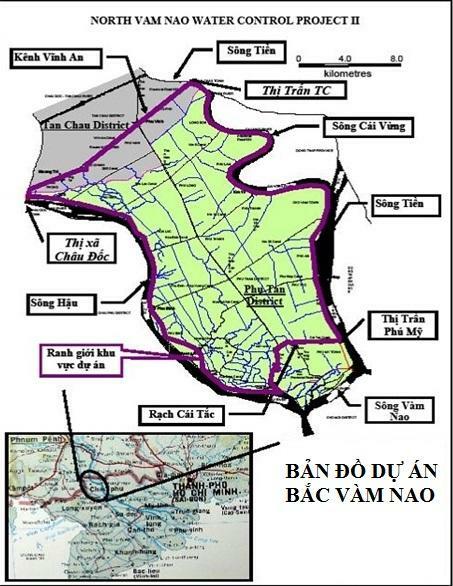 This entry was posted in Climate Change, English / Tiếng Anh, Vietnamese / Tiếng Việt and tagged CCCO, CCCO Can Tho, community-based management model, North Vam Nao, Trip report, Vam Nao. Bookmark the permalink.